In a large bowl, combine the chicken with the kale, parsley, pecans, celery, onions and grapes. Season with a pinch of salt and pepper and give it all a good toss. In a smaller bowl, combine the yogurt, mayonnaise, lemon juice, honey and another pinch of salt and pepper. Whisk to combine. 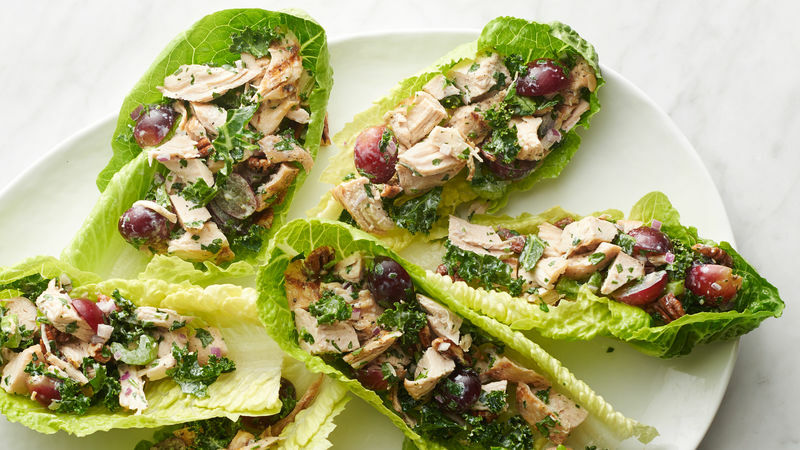 Drizzle dressing over chicken salad and toss to combine. Serve scoops of the salad in the wide end of romaine leaves. Serve immediately. Fans of the Waldorf salad will appreciate this version that’s not drenched in mayonnaise. With its yogurt-based dressing, this pecan chicken salad is… frankly ridiculous. 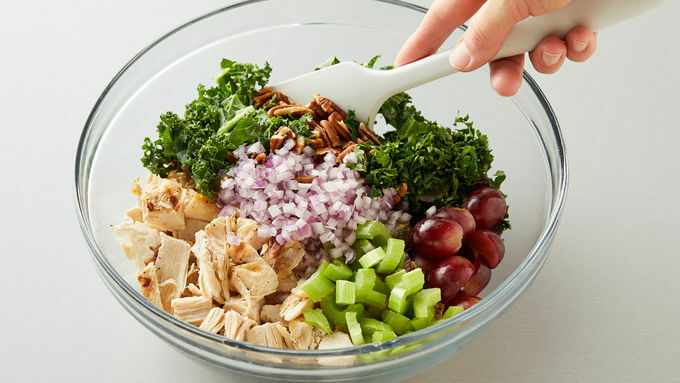 Not only does it involve juicy seared chicken, but then there’s the chopped kale, red grapes, pecans, parsley, celery and red onion. 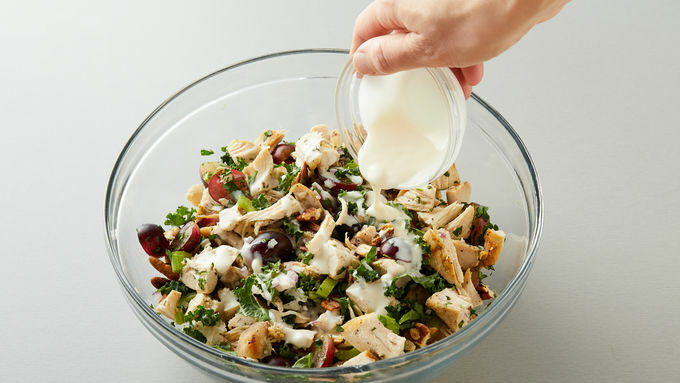 Yoplait® Greek yogurt, a tablespoon of mayonnaise, honey and lemon juice are whisked together and drizzled over the pecan chicken salad for maximum deliciousness. Eat it however you want – on a sandwich, in a wrap, or on a fresh and crunchy romaine leaf.